One Mistake After Another - Publisher, book packager and consultancy firm. 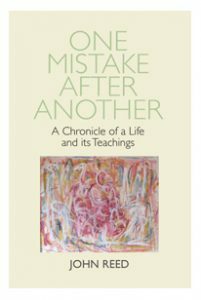 One Mistake After Another is the story of one baby boomer’s odyssey that took him to many countries and cultures in the search for the holy grail of spiritual meaning in his life. This quest, at times, takes the form of a colourful and quixotic romp with perceptive snapshots of life in the 1960’s and 1970’s. With uncompromising honesty, John Reed recounts his struggles between the ‘true path’ and that of personal egoism, the lure of money and ‘the good life’. Many years later, the entire ‘house of cards’ of his material ambitions collapses around him. Part modern-day morality play, One Mistake After Another is also the candid account of how the spiritual inclinations of a contemporary seeker are constantly challenged by the need to adapt to the highly secular world we live in – and, of course, his own shortcomings! From the succession of triumphs and failures Reed describes in these pages, he emerges with a deeper understanding of his psycho/spiritual condition and the needs of the planet. Having learned from his own experience, he ends on a hopeful note. Unlike the socio-political solutions we place our faith in, only more widespread spiritual awareness, he suggests, can provide us with abiding solutions to the problems we face in the world today. Vine House Distribution Ltd. does not distribute this title in the following areas:…….